More practise pieces in my Watercolour Course for you today. This time we’re practising brush strokes and creating impressionistic flowers by pressing your brush down at a 90 degree angle. 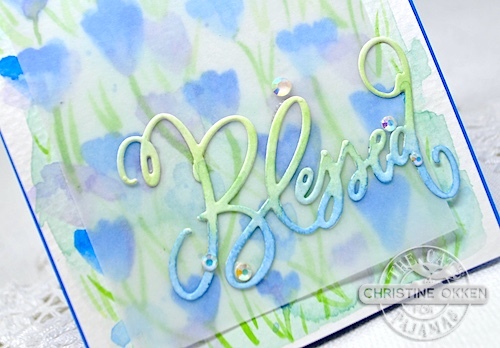 I wasn’t 100% sure I loved this one as I think it was too linear with the blooms all going the same direction, so to the rescue with some lovely vellum which softens the look and then a pretty sentiment die, Blessed from The Cat’s Pajamas, which I watercolored to match the card. 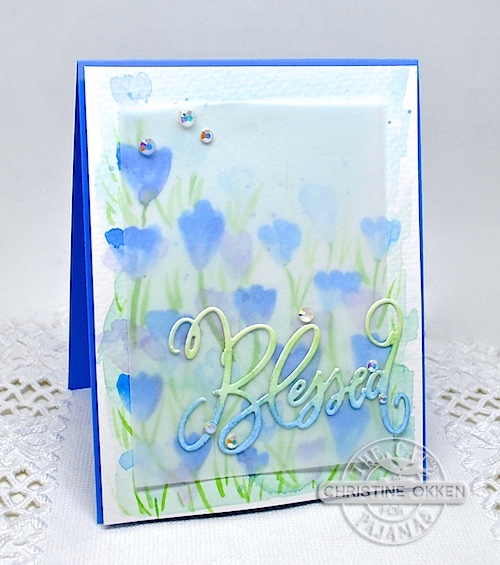 A few iridescent gems help conceal the glue dots behind the vellum and add some sparkle. 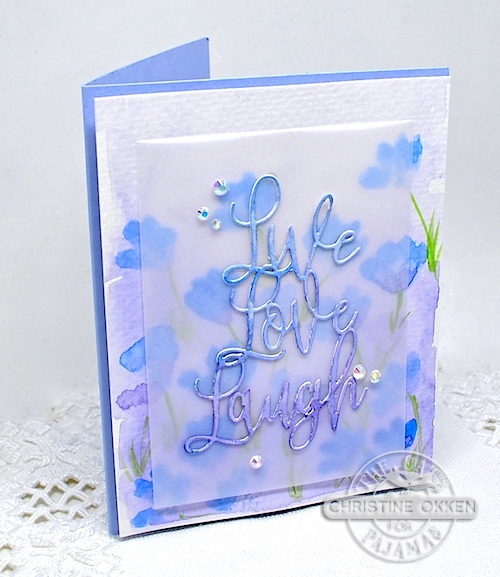 I liked the more randomness of these flowers going different directions as if they were blowing in the wind, the vellum still seemed like a good choice here because it helps the sentiment stand out a bit more. 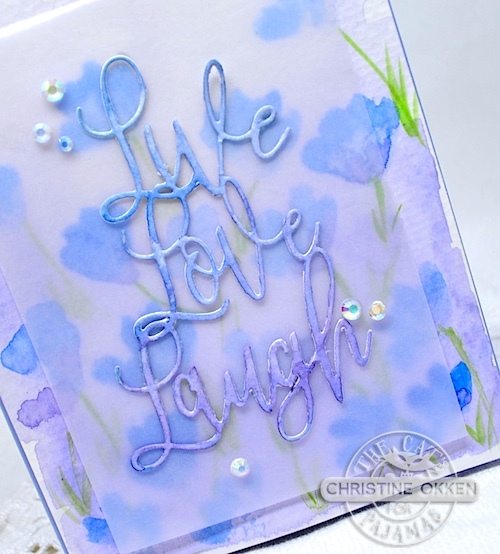 Again this is an awesome die from The Cat’s Pajamas called Live Love Laugh CutUps Dies. Soft watercolour on the sentiment and gems again to finish. I’ll be back on Friday with a really BIG piece I’ve been working on with some brand new Power Poppy! Excited to show you!